Today’s Youth; Tomorrow’s Legacy is the central theme of the 2015 Savannah Black Heritage Festival scheduled through February 21, 2015. Grand Festival Day, a favorite family-fun event packed with activities and top entertainment was held last Saturday at the Savannah Civic Center. Grand Festival Day began with Walk Georgia, a health walk to promote a healthy Georgia. Other events included Adult Health Fair, Youth Programs, and entertainment by Savannah Stars with Magic Marc. 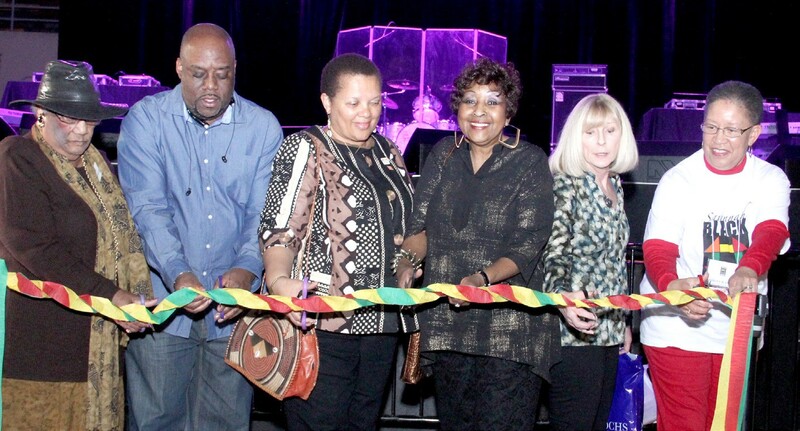 The Grand Festival Ribbon Cutting Ceremony took place at 3pm in the Martin Luther King, Jr. Arena. Hundreds gathered for local and regional youth instrumentalists, vocalists and dancers, as well as featured artists for Grand Festival Day, Doug E Fresh, OMG Girlz, and Leonard, Coleman & Blunt… Former Lead Singers from the Temptations, Platters and Drifters. Each year the festival, which is sponsored by Savannah State University (SSU) and the City of Savannah Department of Cultural Affairs, presents activities for every age and interest. Cultural education and exposure to the performing and visual arts, as well as ethnic cuisine, crafts, fun and family are emphasized throughout the celebration. Great music of every genre, dance performances, national and regional recording artists, local youth talent showcases, historic tours, visual art exhibitions by internationally acclaimed and local artists and sculptors, the W.W. Law Lecture Series, spoken word and dramatic productions are all included on the schedule.